The opening for Laura Poitras’s first solo museum exhibition gave me the opportunity to visit the Whitney, the “New Whitney” and only Whitney which relocated as of May 1, 2015 to a fabulous building designed by Renzo Piano in the Chelsea Meatpacking district of Manhattan. The former location on Madison and 75th Street housed the art collection that continues to focuses on 20th and 21st century American art. The building reflects the Highline in the “industrial chic” design, the foliage beds and the external stairway and terraces that allow for wonderful views that include the Statue of Liberty, New Jersey shoreline, The West Side Highway, the High Line, the Freedom Tower, Empire State Building, the Chrysler Building and The Hudson River. The day I was there was quite overcast but I can just imagine how gorgeous it would be on a clear and sunny day. 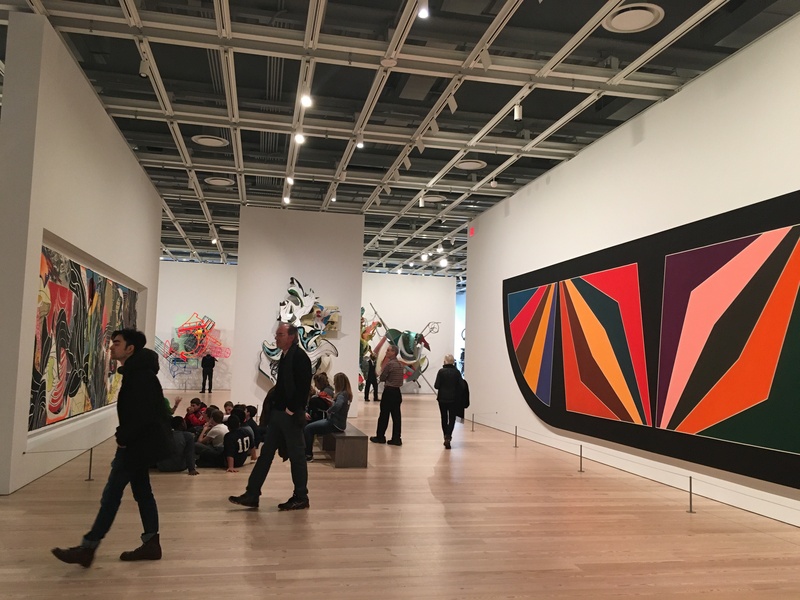 An entire floor was devoted to Frank Stella’s retrospective (ended Feb 7) that had about 100 works including paintings, reliefs, sculptures, prints, drawings and maquettes. Another floor houses the Whitney’s collection and another, the Education Center with a theater and space for visitors of all ages to experience lectures, hands-on learning and additional programs every weekend. 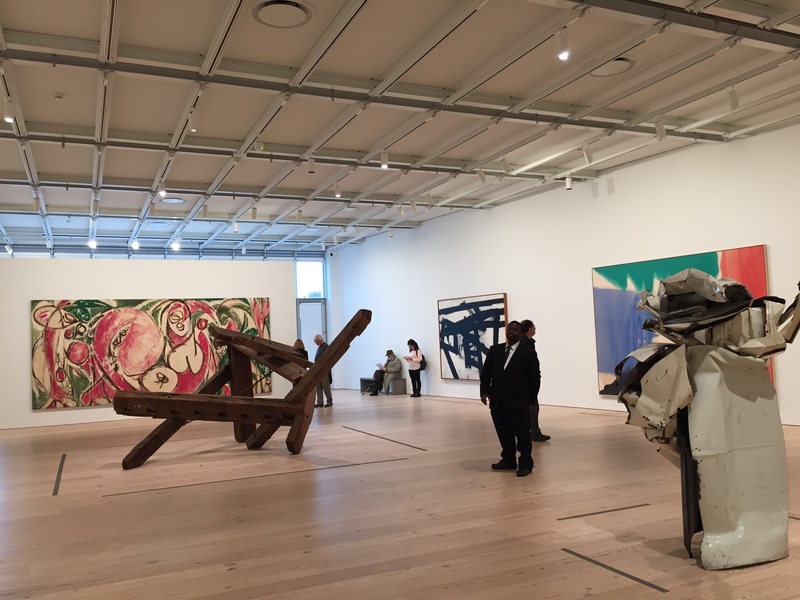 The Whitney is committed to providing different opportunities for artists that other museums have given in the past. There is an 18,200 sq. ft. open space for “projects” that encompasses the entire fifth floor of the museum. Beginning in Feb through May 14, 2016 Open Plan, an experimental 5-part exhibition features 5 different artists each using the space for 3 weeks. 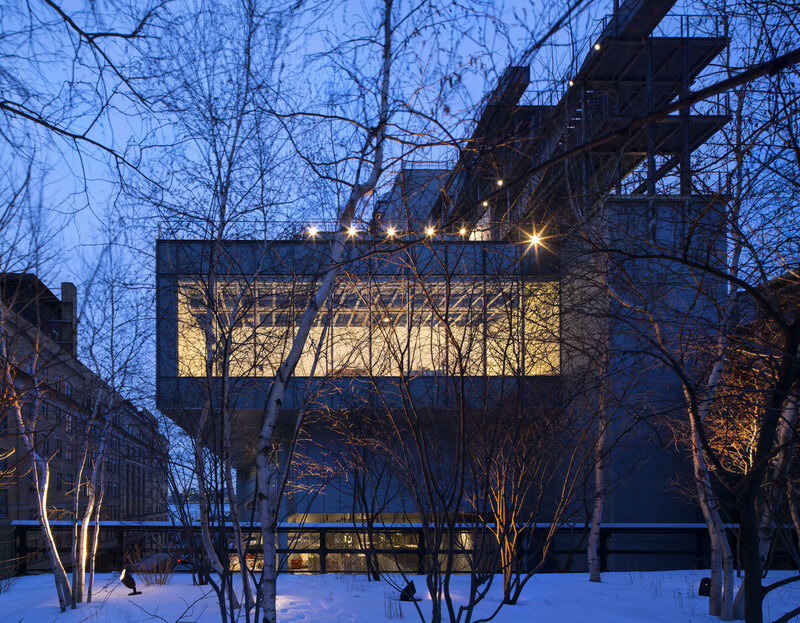 Many more exhibits are scheduled including The Whitney Biennial that opens in Spring 2017. See whitney.org for specifics on this and other exhibits and programs. The Metropolitan Museum of Art took over the Whitney Museum of American Art’s Marcel Breuer building after the Whitney opened its new museum in Manhattan’s meatpacking district. The agreement serves both institutions: allowing the Whitney to preserve the landmark Breuer building, at Madison and 75th Street, while providing the Met with much needed space to showcase its modern and contemporary art. 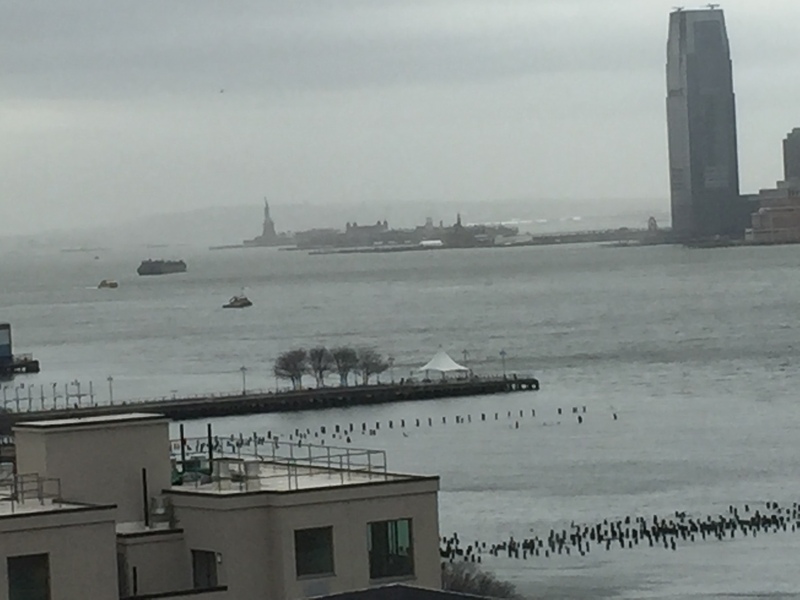 The Met said they will use this space as an outpost for modern and contemporary art from around the globe and will be expanding to include a new series of exhibitions, performances, artist commissions, residencies, and educational initiatives. Opening to the public on March 18, 2016, The Met Breuer will provide additional space for the public to explore the Met’s collection of art of the twentieth and twenty-first centuries.